We woke up at around 9:30AM. That is everyone except me. As usual, I was the early bird. Of course I grabbed breakfast in the hostel. Usually 9:00AM is the cut off for breakfast in the hostel. So my friends went to a nearby cafe. While they ate, I opted to picked up some fruit at a local mart. The fruit was pricey, one banana was 50 cents €. Nonetheless I don’t believe I've had fruit in a long time, so I made the decision to buy 3€ worth of fruit (two bananas and an orange). We then headed to Dublin Castle, which is next to city hall. By this time, we were all castled out except for our friend we picked up from the airport. Every city we went before Dublin had at least two castles. 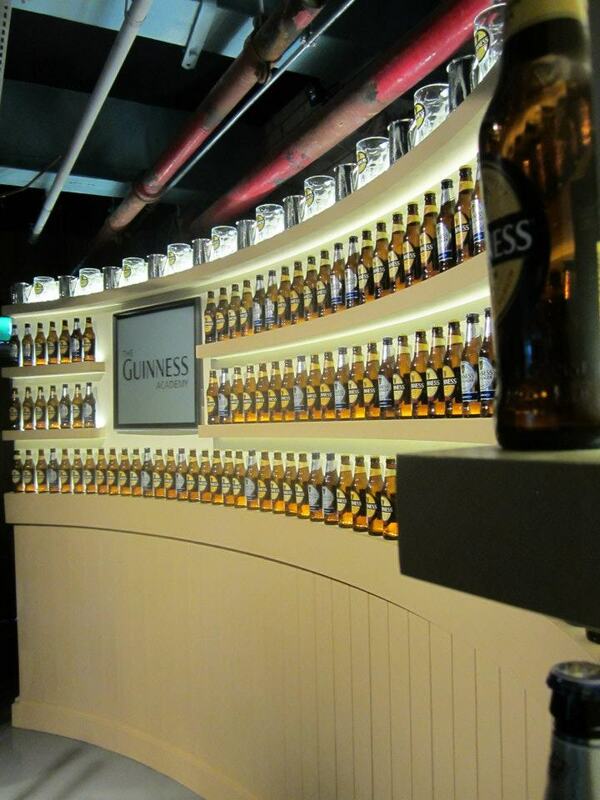 We spent about 20 minutes there and then headed to the Guinness Brewery! The Brewery was about a thirty minute walk from our hostel. The cliff notes behind the Guinness brewery tour is that Arthur Guinness signed a 9,000 year lease and brewed ales at first but later went to brew porter (dark style beer). Guinness gets the dark color from roasting the barley. The brewery basically showed how the beer was made and then at the end we could either pour your own pint or drink a pint at the Gravity bar on the 7th floor with a view of the city. For those who poured your own pint, they gave you instruction on how to pour and a certificate afterwards. We were craving Asian food and for 6.50€ we got soup, rice, and a meat dish. 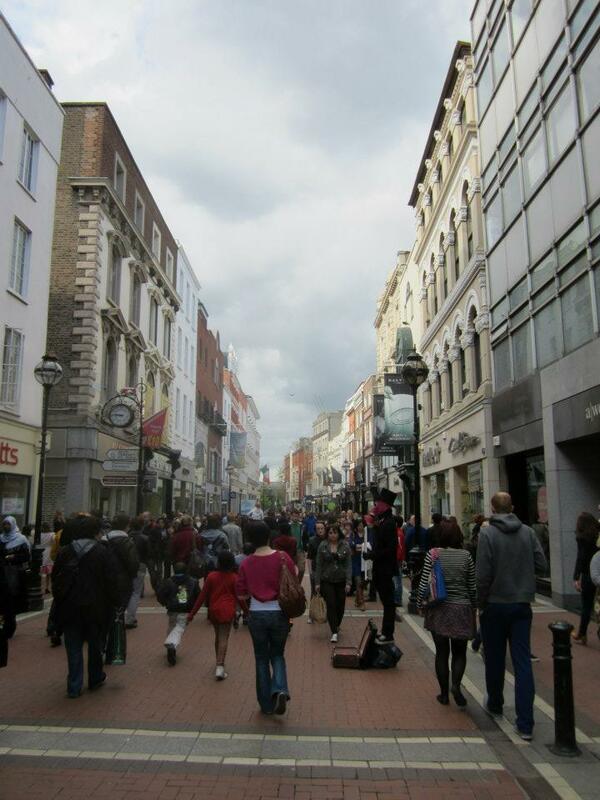 We walked to Grafton Street, which is one of the main shipping streets in Dublin. This place was like a Santa Monica Promenade. There was live street music and street performers. Someone had used sand to build a dog lying on the ground. Another person dressed up in a spacesuit to ask for money to fund his college tuition. We walked through the mall and looked at their discount outlet (TK Maxx). I ended up getting ice cream at Gino’s Gelato, which is seriously really good ice cream. I got the Nutella ice cream in a cone for 2.5€. For some reason their ice cream is way better than it is in the States. They feed their cows real grass! We headed back to the hostel and a couple of my buddies wanted to go on at Pub crawl. You first pay 5€ at the hostel and then the remaining 7€ at the first pub. I thought it was a rip off especially when you could go to these pubs on your own. Before we went on the pub crawl, we stopped for dinner at The Oriental Café. It had good yelp rating and we decided to try it out. Basically it is an overpriced sushi, Chinese, Korean or rather Asian place. The servers were Asian and I felt like we were paying more for the atmosphere versus the food. It was a huge disappointment. After dinner, we headed to the first pub crawl. Even though I did not pay for the pub crawl, I easily blended in. They said they would get small discounts at the pubs, saving a Euro on each pint, but I saw that the price was the same for everyone. We met some people from LA and Canada. There were a couple cute girls from Canada. We played "flip cup" and had a good time. I watched golf most of the time and left the group after the third pub. I passed by the city hall and took the same path we took to get to the Guinness brewery.